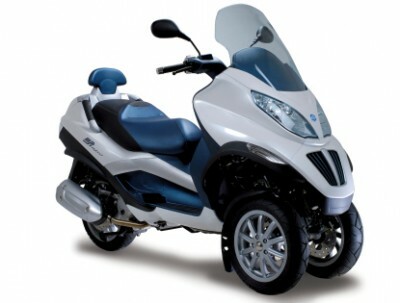 Piaggio MP3 Hybrid 300? | Vespinoy! Piaggio USA President/CEO, Paolo Timoni, hinted at a new and improved version of they yet unreleased (at least in the USA) Piaggio MP3 Hybrid. The much awaited gas/electric vehicle has been currently offered only in the 125cc model might just be receiving an upgrade to the 300cc engine which is currently being used in both the Vespa GT Super 300 and the Piaggio MP3 300. Here is the excerpt from the interview. Another thing to look forward to. It might just cost and arm and a leg as well as an organ or two but, heck, green is in. Timoni speaks about a lot of other interesting in his interview. From the status of Piaggio worldwide as well as the state of the Motorcycling industry in the USA. Check out the interview here.